No phone is perfect and every phone has compromises. The Google Nexus 5X from LG is a good phone, but not quite a great phone. The hardware is adequate, but faces steep competition from Motorola and even some Chinese makers such as Huawei and Alcatel in terms of materials and quality. The screen is great, but battery life suffers somewhat; signal performance on AT&T was strong, but voice quality was never better than average; the camera software is often slow and frustrating, but it delivers usable photos. Android 6.0 Marshmallow is by far the 5X's best feature — and Marshmallow isn't exclusive to the 5X. Google's latest operating system performed flawlessly on the 5X, and the Nexus Imprint fingerprint tool is great. If you absolutely must own a Nexus handset for the software and prefer a smaller form factor, the 5X is really your only choice. The $379 price tag is nothing to complain about. The Nexus 6P isn't that much more at $499, but it is significantly larger. If you simply want the best phone $400 can buy, the Moto X is a better (if bigger) bet. 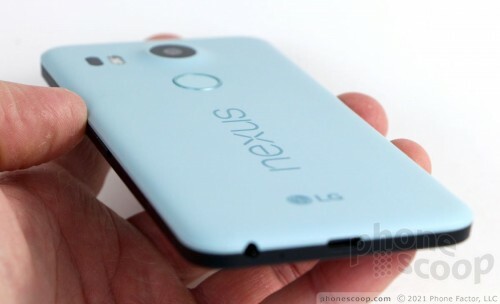 Google today announced the Nexus 5X, a less-costly alternative to the Nexus 6P. Where the 6P is made by Huawei, the 5X is made by LG. Republic Wireless today said it has added nine modern smartphones to its lineup of Android devices. The new phones include the Samsung Galaxy S7 Edge ($799), S7 ($699), J3 ($179), and S6 ($549); the Nexus 6P ($499) and 5X ($349); and the Motorola Moto X Pure Edition ($349), G4 ($199), and G4 Plus ($299). LG today said the Nexus 5X smartphone is now available for sale in the U.S, Canada, United Kingdom, Ireland, India, Korea, and Japan. Google has been accepting pre-orders of the 5X for several weeks, but today marks its launch with U.S.
Google today announced Live Cases, a way for Nexus owners to personalize their handset while also protecting it. Interested consumers can upload a photo to Google's site, select a case style, and Google will make the case and ship it. Google is pushing an updated version of its camera application to Nexus handsets. The new Google Camera app makes changes to the user interface to improve usability.